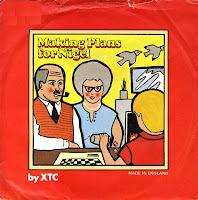 XTC's 'Making plans for Nigel' reached number 32 in the Dutch Top 40 in 1979. It fared better in the UK, where it reached number 17. The video of this song impressed me greatly when I was a child; it made me remember the band and this single for years on end. I didn't buy the single, so I spent years searching for it. I finally found it during a holiday in the UK. 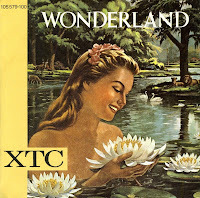 The single 'Wonderland' by XTC is one of those singles that went unnoticed by the general public. It didn't chart anywhere. It was a track lifted from the album 'Mummer', which featured a more pastoral sound than any of their previous work. The track was written by band member Colin Moulding and was later described by band leader Andy Partridge as one of his 'most beautiful melodies'. I was listening to tapes recorded by my sister in the mid-eighties when I found out about this track. I didn't like it much at first listen, but repeated listening made me change my mind. More than a decade later, I ended up buying the single. It's not that I'm such a fan of XTC. I did love the song 'Making plans for Nigel' when it was in the charts, but 'Senses working overtime' made less of an impression on me. Still, that was the first XTC record I bought. It was probably because it was the only track in the 'out of charts'-bin that I liked when I visited my usual record shop in 1982. I paid half price for 'out of charts' singles, which made it worthwhile to choose from that selection. 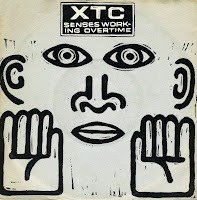 'Senses working overtime' was the last hit for XTC in the Netherlands. They would continue to release singles but they never made a dent in the charts. In the UK they fared only slightly better: most singles didn't make the top 40 anymore, with the exception of 'The disappointed' (1992).